I am going to do a little series called 'Care Routine' which will focus on my beauty and hair care routines, what products I use and why, etc. So without further ado lets get started! Naturally my hair is very wavey with a slight curl it in, it is also naturally quite thick, more so than usual as I am growing my layers out. It's natural length as of now is some inches past my collar bone. My natural hair colour is also a level 7, although I started colouring my hair at about 12/13 and I've not had my natural colour since then! 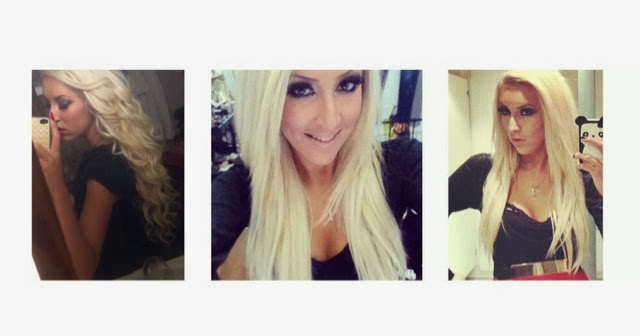 I have my hair in lots & lots of different styles now, straight mainly or curled, braids...all sorts! My hair colour now is platinum blonde. It took a while to get it back to this colour as I had it a very dark brown, nearly black colour at the start of 2012. I did this process gradually with foil highlights of bleach and an all over high lift colour. Now, I only have the high lift colour on my roots and sometimes on the ends as they tend to get a little darker. I'm not 100% sure what the colour is as I go to the salon however! I do know that it uses 9% developer and when it develops the colour goes purple. I once heard her say to the assistant 9.12 when asking for the colour to be mixed so I'm guessing the colour number is 12? I also wear 18" extensions on a regular basis to make my hair longer. 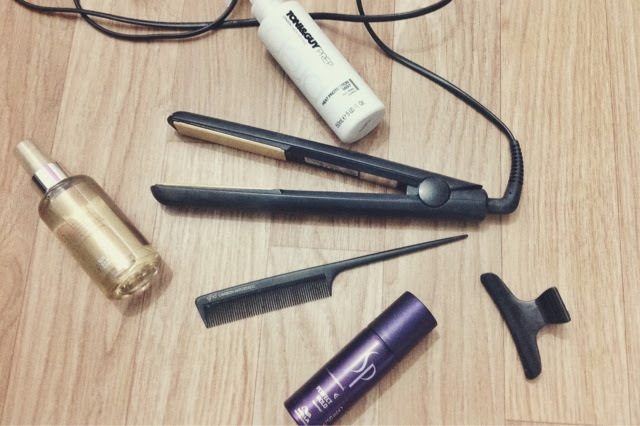 I use salon products on my hair to keep it healthy and not leaving it dry and damaged. I really like Wella products as on the bottle they show an intensive rating on how much they repair your hair on a scale of 1-4, one being a little repairing and 4 intensive repair. 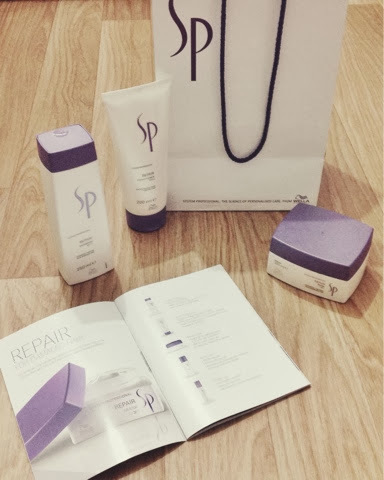 For shampoo I use Wella SP Repair Shampoo which makes my hair really soft even after using the shampoo, it lavers up really quickly and smells nice too! Being a blonde a silver shampoo (also called purple shampoo) is a must! It gets rid of any yellow brassy tones in the hair, because purple on the colour chart is opposite to yellow. 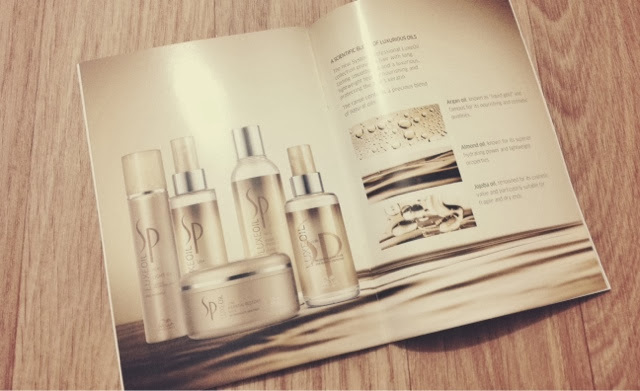 For this purpose I use the Wella SP Silver Shampoo or the Provoke Touch Silver Shampoo although I don't have a photo of these because I've ran out. Although I don't use this sort of shampoo every wash because it can leave your hair purple after a lot of uses and also can be quite drying! So I only use it when I see my hair is getting a little on the brassy side. For conditioner I use the Wella SP Repair Conditioner you don't have to leave this on long only for 30 seconds or so and when you wash it out your hair is sooooo soft and silky I love this conditioner so much! You also don't need to use a lot of it, otherwise your hair will go kind of lank and greasy because of too much product. 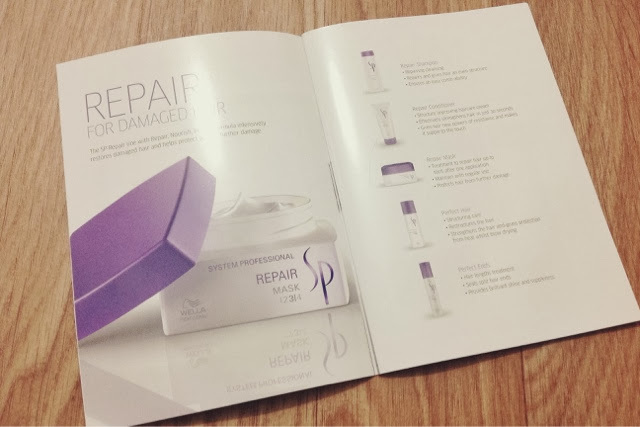 I also use a hair mask from time to time when my hair gets a little damaged or dry looking from colouring, heat etc etc the one I use is Wella SP Repair Mask which intensively repairs damaged hair. This product for me is a holy grail product, it really works it's beautiful and leaves your hair feeling like silk! You leave it on for 5 minutes before rinsing out and then wow! It smells lovely too! I've nearly ran out again though I have a little left but I'm trying to save it, before re-purchasing it again (which will be for the 3rd time!). I hope they never ever ever discontinue this product! 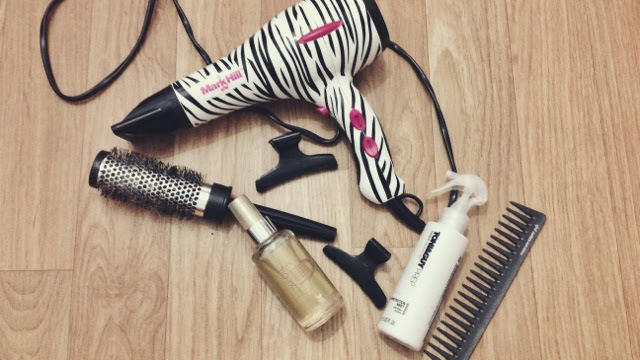 For blow drying my hair I use a mix of products, both salon products and drugstore products. I start off by towel drying my hair, I'll also leaved my hair wrapped up in a towel turban for quite some while to let It dry abit naturally first before using heat. My hair honestly takes hours to dry! It's insane! 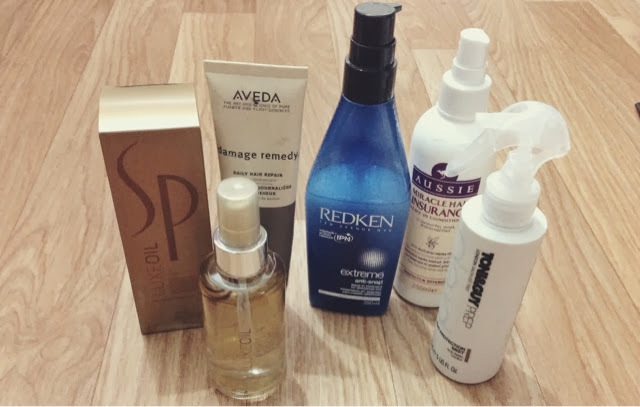 My favourite one is Wella SP Luxe Oil I have tried many other brands; Moccroan Oil which I found did nothing, Macadamia Oil which again did nothing, and Kerastate Oil which I did love but I got it free when I worked in a hair salon and well I won't let myself pay that much for the full bottle, but it is a lovely oil! My hair really does soak up the oil though so I use about 3-4 pumps on my hair when damp because 1-2 as recommended just doesn't work on my hair. After the oil I will use a heat protector I'm currently using Tony & Guy Prep Heat Protection Mist which I got from boots. If I don't use that then I'll use Aussie Miracle Hair Insurance Leave in Conditioner. Then if my hair is really in need of repair I'll use Aveda Damage Remedy which again I'm nearly running out of although I've had it now 2 years or more! So now I am just using it sparingly. If I get really dry and spilt ends and my hair is snapping off, which it used to do a lot but now not so much as I've had it trimed and I also think it's due to this product Redken Extreme Anti-Snap which I'll just use on the ends, but I hardly need to ever use it anymore. When straightening my hair I always use heat protector the Tony & Guy one mentioned above and in conjunction with that I use the Wella SP hair oil both before and after straightening! Also, sometimes I will use some hairspray but only on my fringe, but it's a very rare occasion but if I do use hairspray I use the Wella SP Perfect Hold Hairspray which actually came in the Christmas gift I mentioned earlier however I forgot to photo it! Oops!